Following the wild weather across the UK before Christmas, it was a relief to awake on Christmas Day to the lovely morning which had been promised by the Met Office. 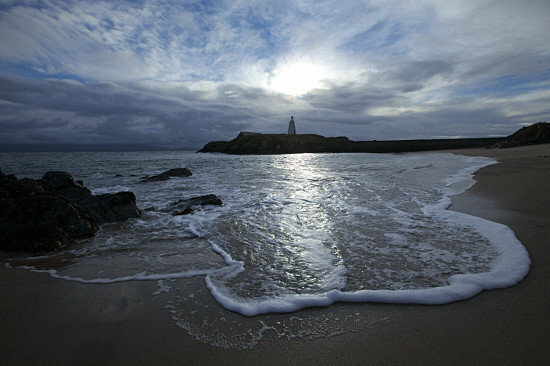 It was an easy decision to go to Newborough Warren and Llanddwyn which is only a short drive away from us, at the south western tip of Anglesey. When we arrived, the car park contained quite a few vehicles already. 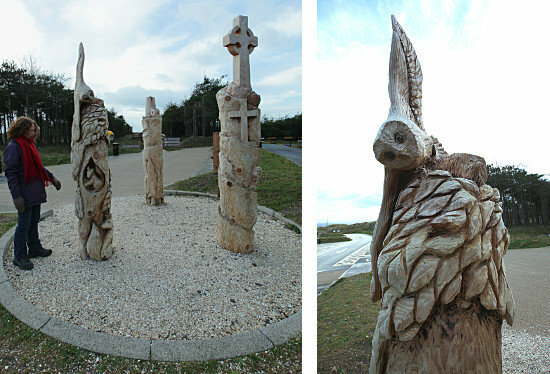 We put on coats and boots to keep us warm and set off to walk through the woods towards Ynys Llanddwyn, but we stopped by the entrance to the car park, enchanted by the wooden ‘totems’ standing like sentinels: they had been designed by local school children but there was nothing to say who had carved them. 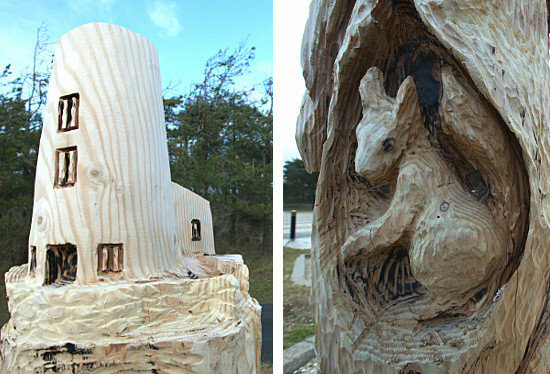 They depicted the creatures of the woodland around them. I always find walking through the woodland at Newborough Warren relaxing and quite wonderful – although I’m still waiting to see my first red squirrel there! The trees are a mix of deciduous and conifer, growing in sand-dunes which always remind me of camel humps. The sun was streaming through as we wandered along, greeting walkers we met along the way. 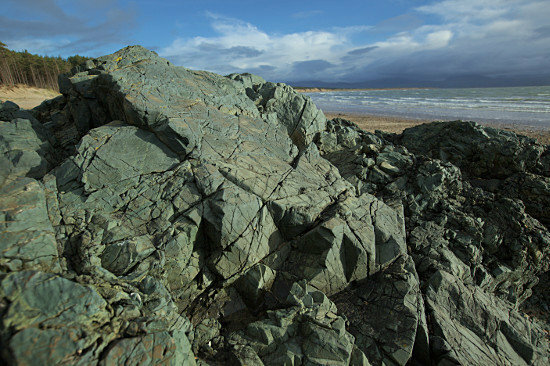 We dropped down onto the beach and walked past the amazing pillar lava rock formations, across the causway and onto Ynys Llanddwyn – Dwynwen’s Isle. Dwynwen is the Welsh patron saint of lovers and her story is on a board beside the ruins of the little church dedicated to her, to which many pilgrims trecked before Henry VIII intervened. Also on the island, which is a nature reserve, there are two lighthouses and a row of pilots’ cottages, which date back to the time when pilots were required to guide large ships across Caernarfon Bar and into the Menai Strait. There is a beautiful sheltered bay, Pilots’ Cove, with a sandy beach – now a delightful play area: in summer, yachts and power boats moor just outside its mouth. 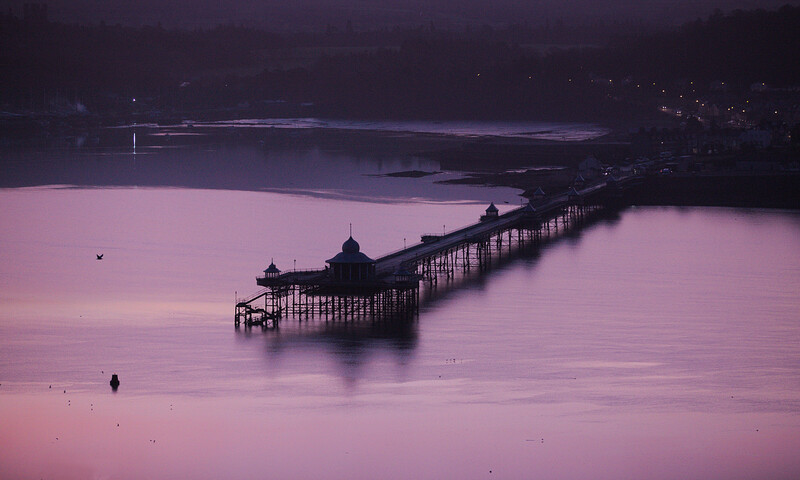 Even in the depths of winter people take pleasure in the tranquility and sense of history the island gives. Leaving the island just before high tide, we walked back along the long stretch of sandy beach, with wonderful views towards the mainland and down the Lleyn Peninsula. There were a lot more people walking towards us and because it was near high tide we were all restricted to a narrower section of the beach, so, for once, it felt a little crowded. We even met our neighbours and their house guests! Normally, even if the car park is full to bursting, everyone spreads out through the woodland and over the long stretches of sandy beach and there is never a sense of crowding. 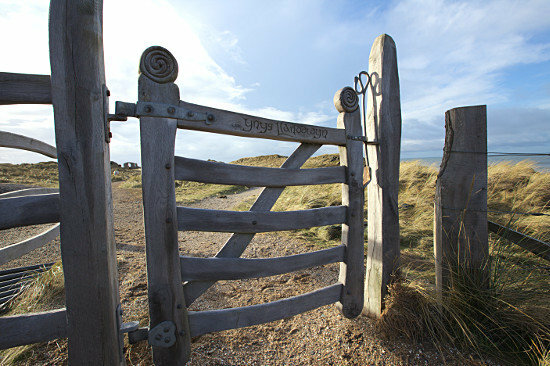 It is a wonderful place, in all weathers and at all times of year, and we islanders are very fond of this special area.